I am really happy that Little City was able to be one of the first roasters in the US to offer coffee from Myanmar, both because of the quality of the coffee itself and because of the project behind the coffee, in which we were fortunate enough to have played a small part. The larger project stems from the fact that, after decades of isolation, the United States is supporting Myanmar to help them grow and stabilize as they emerge from this isolation. This support is evidenced by, among other things, several trips by President Obama to Myanmar and a large capital investment by the US. While I don't know all the details, a major economic contribution to Myanmar was proposed by USAID with Winrock International administering it in several crop areas. The Coffee Quality Institute was brought in to provide expertise in aggregating value to the coffees at source in a sustainable way. My areas of focus in coffee are post-harvest production and sensory analysis, and so my contribution to the project was in that role. 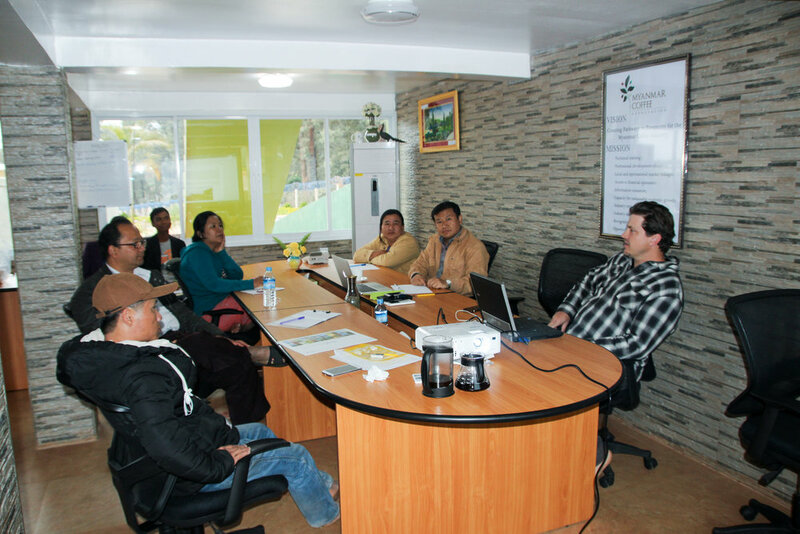 I went over this past January to work with the Mandalay Coffee Group to analyze and implement some quality control measures at their wet mill. I am headed back here in a few weeks to work with Winrock International to analyze the first harvest and see how we can do even better the next harvest. Below is some information about the project in Myanmar, and our participation in it. Mandalay Coffee Group team members cupping coffee to taste first hand the effect of post-harvest practices. Although to go in depth would be beyond the purview of this post, the obvious starting point is to define specialty coffee. 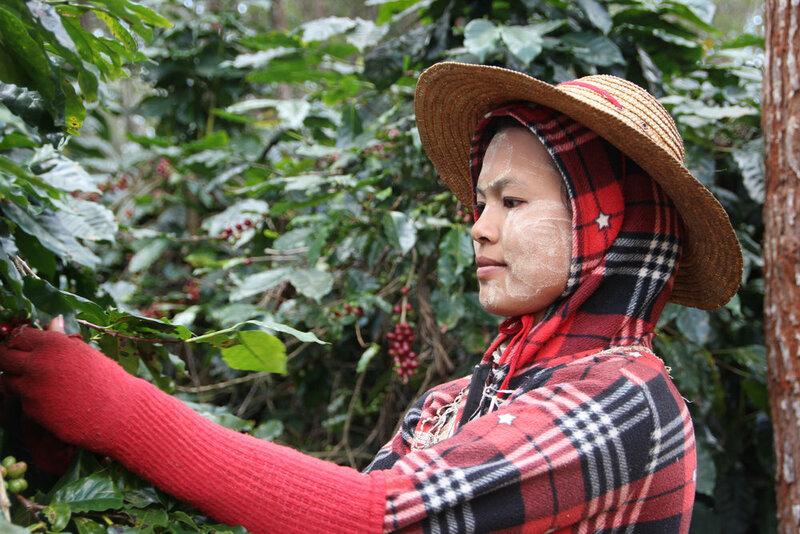 If Myanmar was not “doing specialty coffee” and they now are, what changed? There are myriad definitions of specialty coffee out there. Generally defined, it is quality coffee that was likely produced with some degree of sustainability and with some amount of traceability back to source. The technical definition, which I prefer because it actually moves from the nebulous towards the concrete, is a coffee without any primary defects (a bean that has been severely damaged by insects is an example of a primary defect), has no more than three secondary defects (an immature bean that did not fully develop is a secondary defect), and scores 80 or higher using the SCAA sensory analysis methodology. When someone or an entity (a grower, a coop, a country, a roaster) moves into “specialty,” it largely means that they are taking steps toward quality as well as the sustainable production that the market demands. This means greater care and usually higher costs of production. It also potentially means larger premiums paid because of the quality and sustainability, however the parties may choose to define and/or quantify them. How do you start doing specialty coffee? 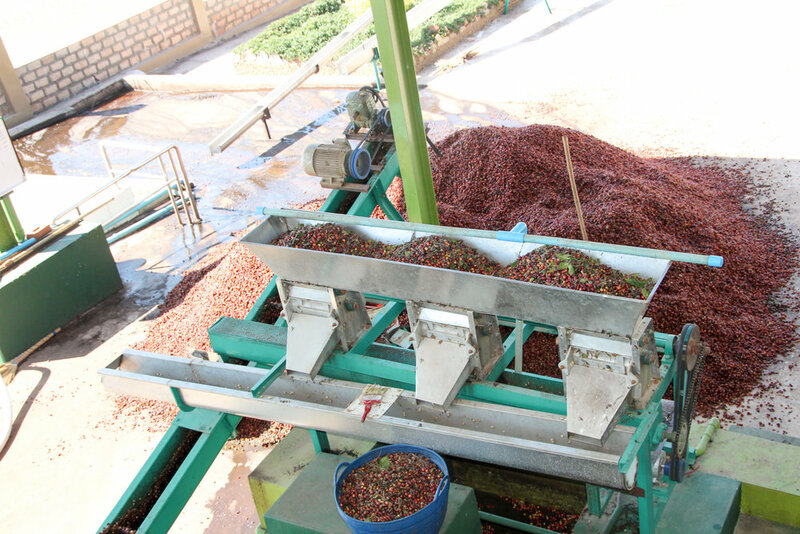 Below are a few aspects of production that should be addressed to produce high quality coffee. This is by no means an inclusive lost; rather it is given here to give you an idea of what is happening in Myanmar as they emerge from decades of isolation onto the specialty coffee scene. USAID, Winrock, The CQI, Lilypad, and many other organizations are hard at work making this a reality. Field management: There is a thought that coffee reaches its maximum quality peak while on the tree. All things that follow do not improve the quality, but rather maintain it. While this might not be the case, it is obviously the case that the better the quality of the bean at harvest, the better the likelihood of a quality final product. 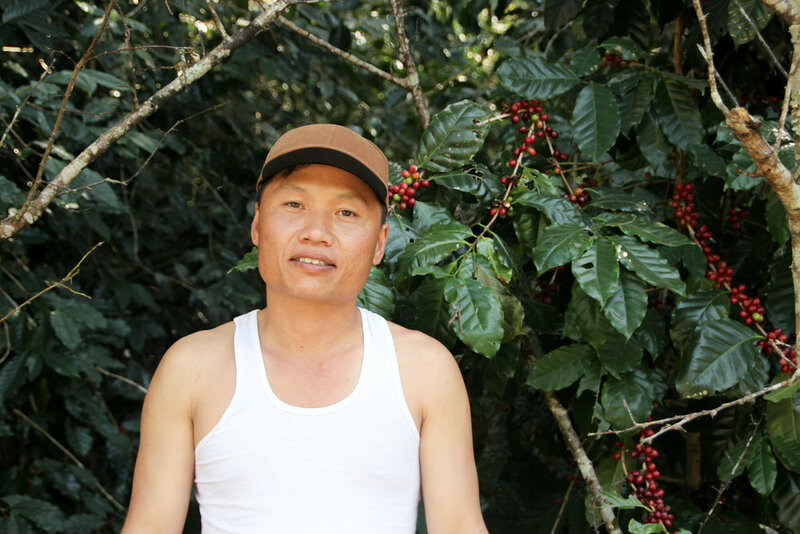 In terms of quality coffee, some important points are to ensure that the coffee plant is supplied its nutritional demands (through soil and foliage analysis), analyze cultivar choice (some cultivars taste better than others), maximize maturation, and ensure the health of the plant. Careful harvesting: A good mantra to follow in the harvest and post-harvest is to maximize uniformity and minimize risk. To improve coffee some key components include harvesting only ripe fruit, separating out lots of different qualities, and getting the coffee to the wet mill (or onto the drying beds in the case of naturals) as soon as possible, ideally within 24 hours of the harvest. Growers should also separate out lots as much as possible—by farm lot, cultivar, day of harvest, etc. This not only increases uniformity, but it allows the grower to taste and potentially determine unique coffees versus a general farm blend. Post-harvest care: If coffee dries to quickly, the cell walls will rupture and the coffee will quickly lose its quality. If it dries too slowly or non-uniformly, it can suffer mold or other maladies. When moving to specialty coffee, growers must ensure that the coffee is properly milled (pulped) and dried, with consistent rotation throughout the drying process. Storage: Coffee is a seed and interacts with the environment around it. If conditions are too humid, it will take on moisture, degrading its quality. If conditions are too arid, it will dry out, also losing quality (like those wrinkled almonds you left out for a few days). If the interaction is great (heat, for example, can increase this interaction) the coffee seed, or bean, increases its respiration, and this work means it is using up the compounds that we desire—the ones that potentially make it a sweet and complex cup. Relationships: If a specialty coffee is grown and processed in the forest and no one drinks it, is it a specialty coffee? There needs to be an outlet for this work: a roaster to buy the coffee and ensure the quality as well as relay the story of the coffee to the consumer. Sustainability: In general, those who appreciate higher quality coffee also demand assurances that it was produce in an environmentally and socially responsible way. That means paying workers at or above legally mandated wages, ensuring their rights are respected, and taking measures to ensure the environment is not significantly impacted by the production. Where these lines are drawn is an important but complex topic. Wastewater treatment: we helped to design an overland flow wastewater treatment system for the coffee processing water. Sampling procedures for incoming fruit: To make great coffee, you need to start with great coffee fruit. That means ripe fruit that was harvested from the tree, not the ground, at peak maturation, and taken to the wet mill shorty after harvesting. We implemented some procedures to analyze the quality of the fruit, so that growers and pickers could be rewarded for doing a great job. Monitoring moisture content: Coffee should be stored at between 11 and 12 percent moisture content. We worked with the mill to monitor moisture content. Homogenous drying: We worked with patio workers to ensure they were rotating the coffee on a regular basis. Installation of raised beds: Raised beds can lead to more uniform drying. Natural coffees: The climate around Pyin Oo Lwin is perfect for dry process coffees; it is cool and seldom rains during the harvest. We worked with the mill to start doing naturals for high quality coffee, resulting in some truly exotic products. Cupping training: It's one thing for those involved in the process to hear what they should be doing, it's another for them to taste what happens if they don't do it. We conducted cuppings with mill staff, showing them what great coffee was and what defective coffee tastes like. Traceability: we set up a documentation system to trace the lots of coffee. My work, while hopefully making a an impact, has been a drop of water in the ocean of hard work that the people of Myanmar are doing to produce these coffees, as well as the full-time on-site staff—people like Winrock Chief of Party Steve Hall, Anne Claire Degail, coffee consultant Marcelo Pereira, and the CQI staff and other consultants that have done incredible work. There are a lot of people working behind the scenes to make these coffees happen, and perhaps the best way to thank them is to sit back and enjoy the culmination of their efforts—an incredible cup of coffee. Shop our Myanmar coffee's here.